Every ten years, the United States does a Census to update important information about the population within each area of the country. This will actually be the first time that I participate in this event. In past years, I was unmarried and still living with my parents while going to college. In mid March, we will be receiving these important papers and it is extremely important to fill them out and record information accurately. As a parent, teacher and more importantly citizen of the United States, it frightens me that our children are not properly counted and could possibly not get federal funding for needed items because of something so simple. The Census form that will show up in about a week will consist of 10 simple questions. Please do your part and fill it out and remember to count ALL of your children – including infants. You can learn more about the 2010 Census here. 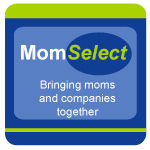 Have you filled out a Census for your family in the past? If you did, did you make sure to count your children? Disclosure: I am posting this information as a public service because I feel it is important to get the information out to my readers. 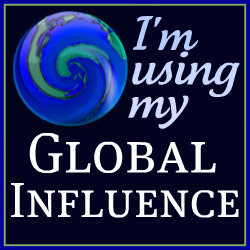 Global Influence is helping spread the word about this public service campaign. This is the first Census that I will be filling out as the head of a household! Of course we will count Abby – she’s becoming a full partner in our little triad. Funny thing is that we will fill out next week, then move to another state this summer. Won’t do a whole lot of good for us there! .-= RobMonroe´s last blog ..Wordless Wednesday =-. We filled out the 2000 census, Jon and I had been married for 2 years at that point. No kids then though. I don’t get how so many kids are missed! .-= Nancy´s last blog ..Stolen meme =-. A little bit of common sense goes a long way, including when it comes to filling out the census. Of course, everyone living in the house counts. .-= Lois Shores´s last blog ..Enter to Win a $50 Safeway Gift Card =-.